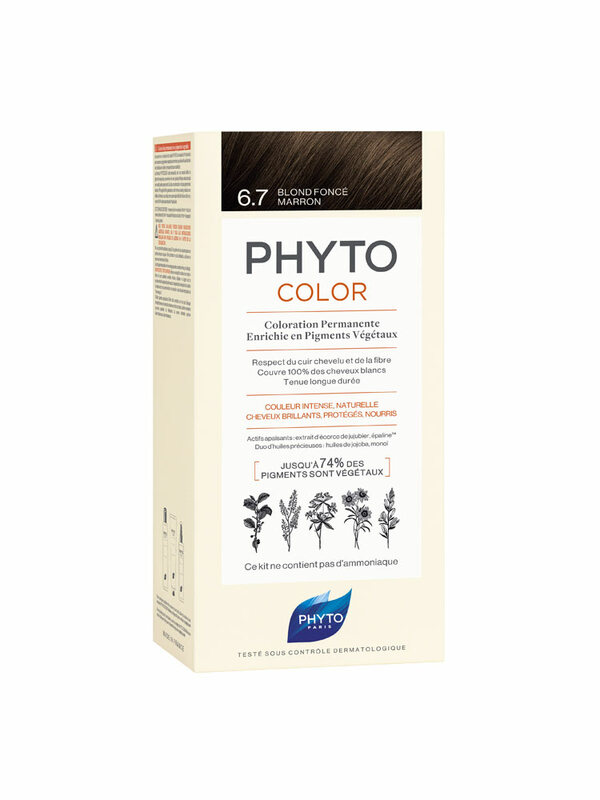 Phyto PhytoColor Permanent Color is a real permanent color, enriched with Botanical pigments with intense and natural-looking color. This permanent color is enriched with a unique blend of botanical pigments derived from five dye plants, selected for their superior pigmenting properties. Their high concentration in the pigment base, up to 74%, depending on the shade, ensures an intense, natural color with radiant nuanced highlights that acts as a shine booster and does not fade. 100% of grey hair is covered from the first application. - High concentration in vegetable pigments for a nuanced color. - A duo of precious and active oils which magnify the color: Monoi and Jojoba. - Soothing actives for a gentle color: Jujube tree bark extract, plant active ingredient of 100% natural origin with anti-itch properties, soothes feelings of discomfort. Epaline, 100% vegetable oil with anti-irritation properties, wraps the scalp with a protective film. - A formula with a minimized allergenic potential: the coloring cream contains neither PPD nor resorcinol. This kit does not contain ammonia. Tested under dermatological control. Read carefully the instruction of use before the use of this kit.